Last year we replaced the bridge over the abandon railroad north of town or just south of Davis Lake Road. The final work on the project will be to complete the final asphalt paving which will start next week 5/20, weather permitting. To complete this work we will keep a lane open in each direction by shifting traffic onto the shoulder or into the left turn lane. You may have a slight delay through the area but traffic should be able to move fairly well. The work will take between 3 and 4 days to complete if mother nature cooperates. We also learned that the road work for M-24 from W Genesee St to I-69 has been pushed off until 2014. 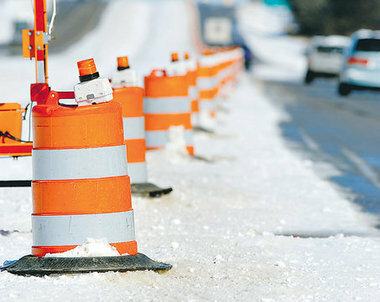 Millville at McKeen Road work will start on Monday. There will be a full detour set up (Bronson Lake to Klam to Marathon to Peters). Buses will be able to get through on Monday and Tuesday, but probably not on Wednesday. We will try to keep them informed ahead of time when they will be able to get through. The project should hopefully be open to traffic again in about 3-4 weeks. Clark at Turrill Road work will start on Monday. There will be a full detour set up (Turrill to M-24 to Newark). The road project will be completely north of Higley, but there may be guardrail or tree work happening to the south of Higley occasionally.